Spring is literally right around the corner. And, I thought since Spring is almost here that we could make a beautiful sunflower full of seeds to hang up in your house to get you in the Spring spirit. If you are feeling a bit of the early spring blah’s, or simply want an easy craft to do with your children, then this is the perfect craft for you. 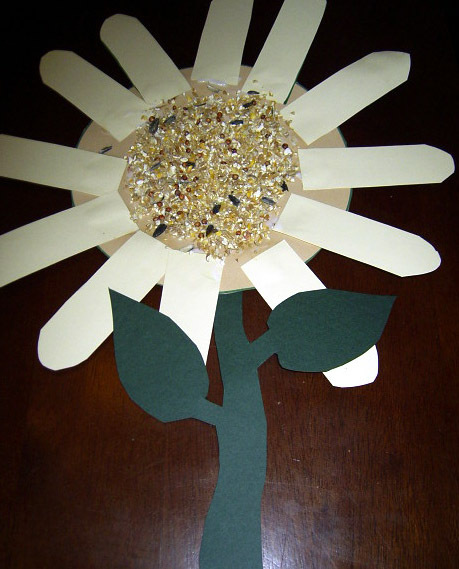 The finished sunflower was made by a 4 year old so this is an excellent preschool craft. 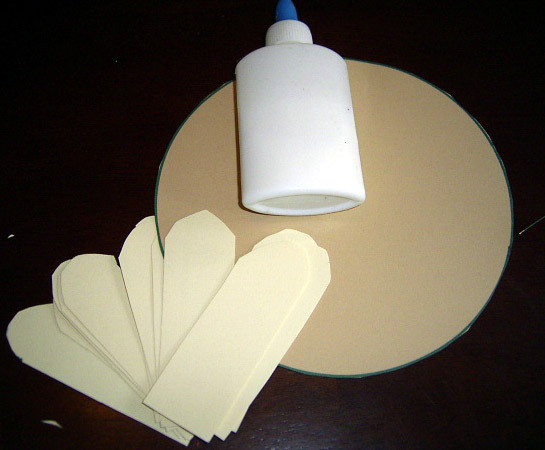 So, grab the materials needed and let’s get this fun Spring craft started. Check out our other Spring Crafts. 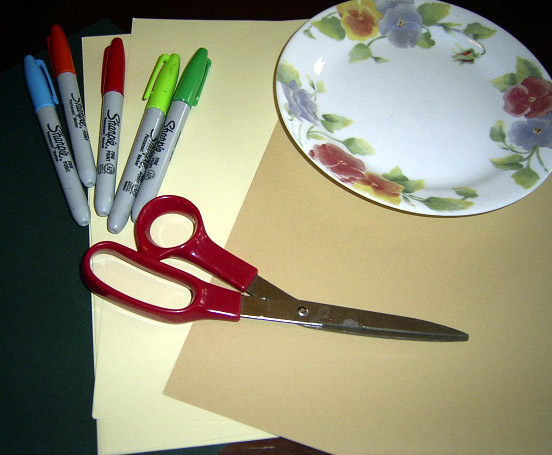 After you have gathered your supplies, place the plate on the brown construction paper. If you have a compass, you can use that but many times, I find that people don’t have some things handy. 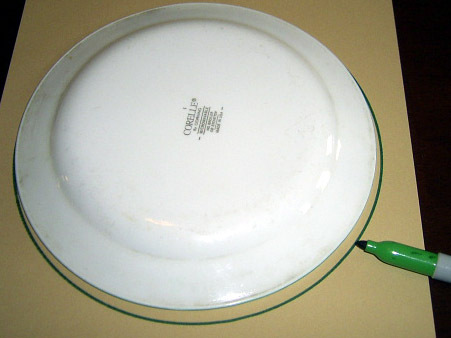 Using a marker, trace around the plate to make a circle. Cut out the circle and set aside. 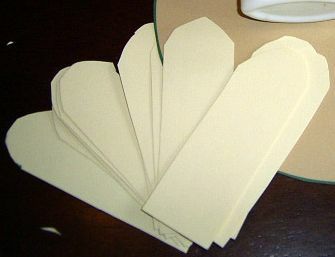 With the yellow paper, cut out small finger shaped (or petal shaped) strips with a rounded edge on the top. Cut about a dozen of the shapes and set aside for later. 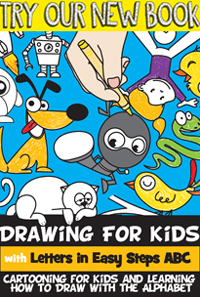 If your child is skilled at cutting, you can draw out the shapes and then have her cut them for you. 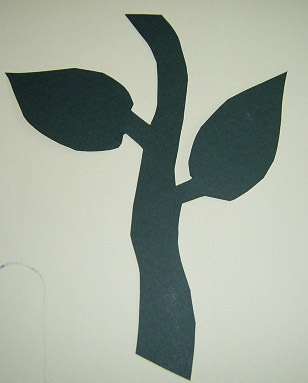 Draw the stem and leaves in the green construction paper and either cut it out yourself or have your child cut it. Once you have everything cut out, it is time to assemble the sunflower. Start by gluing the “petals” around the outer edge of the circle. Once your child has placed all the petals, have them place a small dot of glue onto the front of the stem and then attach it to the back of the sunflower. 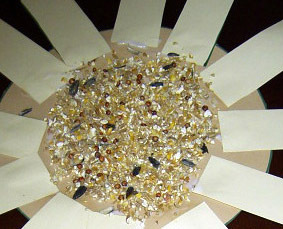 Spread glue to the center of the sunflower on the front and then spread seeds across the glued surface. Tap off the excess and then lay it flat to dry. Once the artwork is dry, you can hang it on the wall or in a window to bring a bit of sunshine into your house…. even if it is raining outside. Enjoy! !